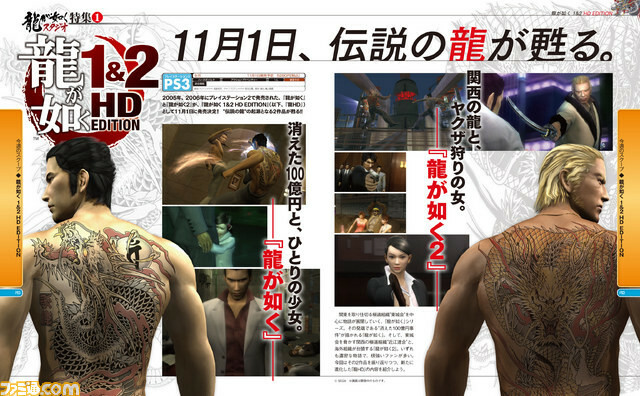 The latest issue of Japanese gaming mag Famitsu has revealed the existence of a Yukuza 1 & 2 HD Collection. Sega has yet to confirm the news but the images below shows off some postage stamp sized screenshots which admittedly look very nice. As someone who missed out on both of these game I’ll be sure to check this out whenever Sega decides to release it, even though Yakuza 3 didn’t exactly set my world on fire.